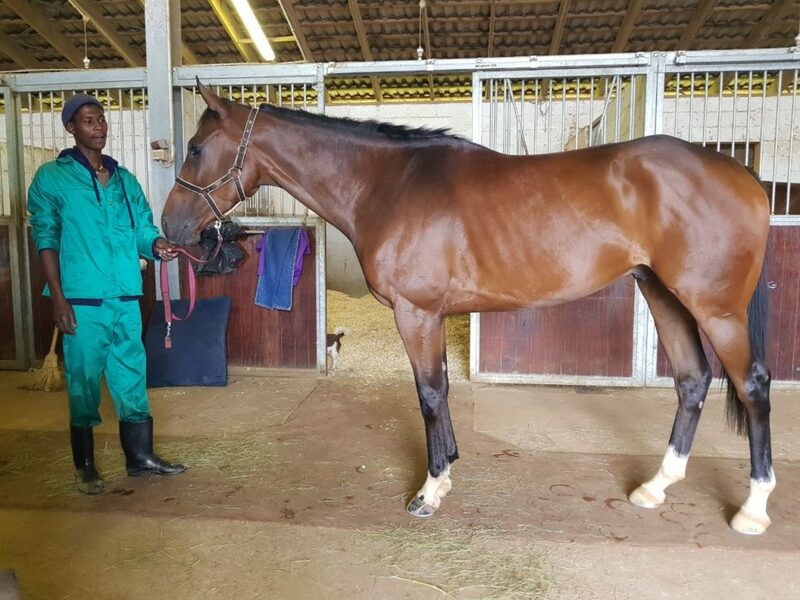 Sandile Henry Mkhize, or Henry as he is better known around the Alyson Wright stable, is the assigned groom for the Hollywood Syndicate horse Sunny Bill Du-Toy. A little over 18 months ago, Henry had never been in contact with a horse. Now he is a groom to a gelding running in his first Grade 1, the Daily News 2000, this weekend. Learn more about his story here. Sandile “Henry” Mkhize is 28 years old and from Umkomaas in KwaZulu-Natal. He is currently the groom for Sunny Bill Du-Toy at the Alyson Wright stable at Summerveld. Henry wasn’t always involved in horse racing, having never come into contact with a horse as little as 18 months ago! After struggling to find work as a painter, he asked his brother, who was a work rider, if he could find him a job at Summerveld. They approached Alyson Wright to find out if there were any positions available in her yard. Henry was honest that he didn’t know anything about horses, but was willing to do anything to get a position. He said he would learn as much as he could from his brother. Alyson didn’t have any vacancies in her stable for Henry, but gave him a chance on training him up on how to handle horses. Once he was skilled enough, he could find work at another stable. One thing led to another and he did really well with the horses he was entrusted with! When an influx of new horses came into the Wright racing stable, a new staff member was needed, and Henry was given the job. The existing staff at the stable had first choice of three horses to choose from, and the final one, Sunny Bill Du-Toy, was left to Henry. Since Henry took over as his groom, Sunny Bill Du-Toy has gone on to record three straight victories on the Greyville Polytrack. These performances culminated in Sunny Bill landing an entry into the Grade 1 Daily News 2000 on Saturday the 2nd June 2018. It really is a remarkable story of how different paths can take us in life, so much so that you end up working with a champion on a daily basis! We congratulate Henry on the great work he has done with Sunny Bill and the Wright Racing stable, and we look forward to seeing his horse perform in the races to come. Sunny Bill Du-Toy is currently 25/1 to win the Daily News 2000! Bet now with Hollywoodbets here! 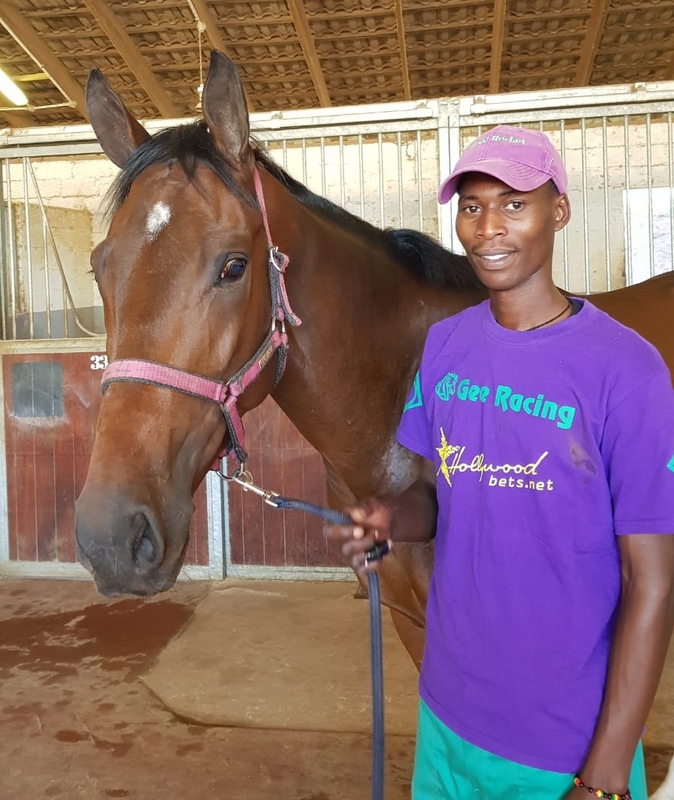 Sunny Bill Du-Toy with his groom Sandile “Henry” Mkhize at Summerveld.